Dorthea Stewart is a Programming and Outreach Specialist at the University of CA, San Diego’s Geisel Library. As such she creates a variety of user-focused and specialized programs, events, or displays to help users achieve their academic goals and promote the Library and its resources. Ms. Stewart has a strong commitment to volunteerism, having been a parent advocate within the San Diego Municipal School District, several organizations at UCSD, San Diego Communities and now with Athletic Initiative. 10 years experience in Financial Services, Banking and Investments. FINRA Series 7, Series 63 and Series 65. As an athlete, Dan excelled in many sports. He played 4 sports for his high school and 2 for his college, while also participating in several individual sports outside of school. When a series of injuries derailed his dreams of playing sports professionally, Dan began to shift his focus from participating in sports as an athlete to becoming a coach. His first experience as a coach was in 2001 when he served as a special assistant to the Crescent City Baptist School's Middle School Girls Basketball team. After graduating from Tulane University, Dan moved to San Diego and immediately began to make an impact on the local youth sports culture. He began to coach for San Diego Parks & Recreation in both football and basketball and eventually added baseball to the mix, coaching more than 30 teams in the San Diego area over the past 11 years. Many of Dan's former players have been standout HS athletes and several have participated in NCAA Division 1 sports. As a co-founder of Old Town Academy, a K-8 charter school, Dan became the head football and basketball coach for the school and has served as a private coach to the students of OTA as well. Dan joined the Athletic Initiative board as the treasurer due to his dedication to the mission of the organization and his background in banking and finance. Rich Curry, co-founder of Athletic Initiative, was born and raised in East San Diego. His mother raised him on her own while working full-time at UCSD. Growing up in East San Diego, Rich had to battle everyday inner-city circumstances such as gang influence, violence, pimp gangs, drug gangs and dealers, drug addicts and more. His mother did her best to keep him busy and out of the negative influences of the street they were surrounded by. In order to do this, he was a three-sport (baseball, basketball, football) star athlete from his early years at Hardy Elementary and Wilson Middle School through his high school years at Hoover High School, Christian High where he was the Varsity Football teams MVP and finally Lincoln High School. Unfortunate circumstances forced Rich to sit out many games his senior year. Seven games into his senior football season at Christian High, he had already scored 24 touchdowns and was looking to be one of the top recruits coming out of San Diego. Then while scoring his 24th touchdown he broke his foot when he stepped on a sprinkler. He was rushed through recovery because he was on scholarship and eight games into the basketball season he reinjured his foot with a Jones’ fracture. The injury forced him to sit out his final baseball season. This was a crushing disappointment because the love of baseball is tied to Rich’s soul. With an absent father, Rich’s grandfather (also Richard Curry) was his male role model. Rich’s grandfather was a professional umpire at the elite high school, college and professional level. The two bonded through their love for the game of baseball before his grandfather died from cancer soon after he graduated high school. With all college scholarship prospects down the tube due to injury his senior year, Rich took a year off after high school then went to Mesa Community College where he played football and basketball. In 1995, Rich fought an uphill battle to get into college by playing in college basketball recruiting summer camps as a member of the High Five America Dream Team. Despite community doubt, Coach Gene Heliker believed that there were college-worthy student athletes in San Diego south of the 8 freeway. In the winter of 1994, he took the first High Five America’s Midnight league all-star team and played exhibition college pre-season games. By the end of the summer of ‘95, each of those twelve team members, including Rich, had earned partial or full college scholarships. Rich went on to play basketball for Cal Baptist University before transferring back to San Diego where he played for Pt. Loma Nazarene University 1997-98. Following college, Rich returned to High Five America and spent nearly a decade mentoring/coaching youth as a basketball official at High Five America. His incredible way of teaching the game of basketball and working with young players always shined through. Rich spent six years in Mexico playing for the Puerto Penasco Tiburones semi-professional basketball team before returning to San Diego to raise a family with his wife April. He currently works at Old Town Academy Charter School as the Athletic Director and character coach He is not only a master coach but a great leader who knows how to use team sports to help kids develop skills, talent, and character. He and his wife have four children. Rich’s passion for serving the youth of San Diego runs deep from his upbringing in one of the most difficult communities in San Diego. His disappointment from not being able to complete the journey he had visions of as a kid shooting on the cement courts and playing baseball on the sandlot at Wilson Middle School continues to fuel his passion for creating opportunities for the kids who have so much in common with him. He has dedicated his life to ensure that the programs, direction and mentors that he needed when he was growing up are available to the youth in the community now. He is leading a charge to provide quality help for the kids in our underserved communities through Athletic Initiative. Wells currently serves as the head girl’s basketball coach and assistant to the athletic director at The Bishop’s School in La Jolla, California. Marlon is also the director of the Elite Basketball and overseas all daily operations. Elite Basketball Organization (EBO) is one of the premier girls basketball programs in the country. Formed in 2005. EBO travel teams compete in the biggest and highest profile, sanctioned basketball events in the United States, where universities and college coaching staffs are in attendance. EBO's goal is to provide student athletes with the exposure necessary to gain an opportunity to pursue a higher education. 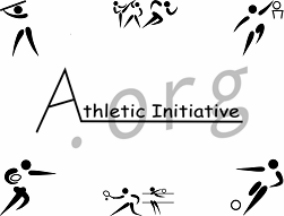 We are geared toward assisting student athletes of all cultural backgrounds both academically and athletically. We also strive to provide an environment for each athlete to develop and maximize her individual skills and fully develop the spirit of sportsmanship. National Travel Club basketball. He coached at Morse High School as an assistant and later Head Coach and as well several other High Schools through the years, most recently, he returned to coaching boys at Lincoln High. He started the San Diego “Cougars” Basketball Club in 1993 after the death of his two brothers due to gang violence. Jeff's older brother was shot 5 times in 1992, and a year later his 16 year old brother was shot and killed. some kids some life lessons. on-going basis. Thus the growing violence is obviously a major concern to all. Many of these young people were student athletes and had bright futures ahead of them. What really affected him was that they were a parent’s son or daughter. Coach Jeff's motto is "Its Bigger Than Basketball"